The most desired Resort on the Beach, Grand Panama Beach Resort. This like new 15th Floor Penthouse has never been rented. Luxury at its best. 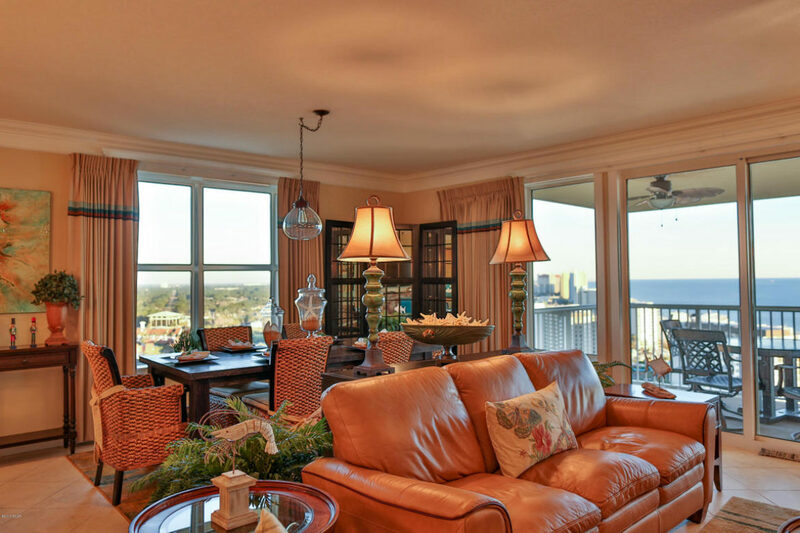 2266 sq ft with Amazing Gulf Views all across the rooms. 4 bed- 3 baths. Granite, upgraded Kitchen cabinets,Stainless appliances,Large open family room, built in 2007, one the newest resorts, brand new AC units, new Refrigerator, new washer dryer, new Viking micro wave, The owners are impeccable In housekeeping. Tile throughout, huge dining area, with wrap around breakfast bar,Furniture looks brand new almost never used.Could be a tremendous rental condo for income. assigned parking. GP has 2 pools, fitness facility , plenty of parking. Presented by Woody Junot & Life’s a Beach Real Estate. Click on the video below for all the pictures!